With the massive changes Google made to their ranking algorithm throughout 2017, many small businesses felt confused and left out in the cold, sometimes suddenly seeing their rankings drop or disappear with no clue what happened or why. We feel your pain and are listening. We know some of you wear many hats and like to tackle your SEO in a DIY fashion, but just need to be pointed in the right direction so they know they are spending their precious time the right way. We are offering regular access to a Google Certified Partner, A+ BBB SEO consultant who has been doing this for over a decade and knows how to separate the facts from the click bait, so you spend your time most efficiently. And if you need additional assistance getting things done or taking advantage of our industry connections, we can add one-off projects to help with the heavy lifting. Once you get a taste for SEO success, you are welcome to graduate to a more permanent plan. We want to give the smaller businesses access to the information they need to succeed. Each month we will answer any specific SEO questions you come up with on a weekly basis, so if something came up that confuses you, we can help you figure it out. We also provide subscribers with a monthly newsletter that will headline the most important news from Google for you to prioritize what you should be doing to keep yourself moving forward. Often, we will include instructional video so you can see how it is done. This way you spend your important time doing the things that matter to your business in Google. 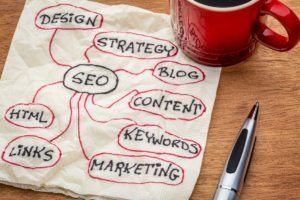 SEO is confusing so why not have an expert on hand to make it more clear? You have no obligation and can cancel any month, but if you do decide you want to move up to a more advanced plan and have us do some of the heavy lifting for you, you can jump up to a more substantial plan at any time. We want to provide small businesses the opportunity to succeed, even when Google keeps putting up more hurdles. Whether it is recommending a new plugin for your WordPress site, a review management plan, or ideas for gathering links to your site, we have seen it all before, and know how to navigate through Google’s constant changes and adjustments.